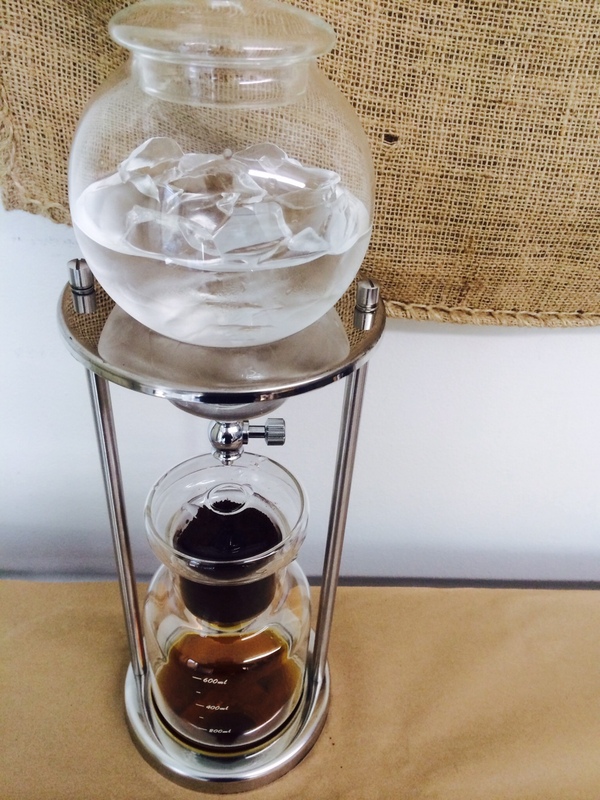 Trying a cup of Kyoto Cold Brew coffee is like sipping a superb beautifully complex glass of wine. The Kyoto process originated in Japan, having been introduced by Dutch traders in the 1600's. The Kyoto method brews with iced water instead of hot water which results in a smoother richer drink. 1. Place a filter at the bottom center container. 2. Grind 50 grams of coffee and place on top of filter. 3. Pour ice and 500 ml of filtered water into top bulb of Kyoto. 4. Turn nozzle on and let one drop every 1.5 seconds. 5. Let it drip for over 4 hours.